The environment Agency has proposed a ﬂood embankment on the golf course at Handsworth GC to prevent long term ﬂooding problems related to the River Tame at Perry Barr & Witton in Birmingham. This embankment extends to more than 400 metres, running along the existing par four, 12th fairway. This will directly impact upon the 12th hole and as a result the entire hole (tee-to-green) will be realigned to the south. The knock-on eﬀect of this is that the existing par three, 11th hole will be lost and replaced with a similar length, par three, 13th hole, now located in a ﬁeld to the south of the existing 13th fairway. The existing 13th hole will be realigned, into this same ﬁeld, and renumbered as hole number 12, to be played as a par four. The work is being undertaken by John Greasley, employed as the sub-contractor to Jackson Hyder Civil engineers. Yes, it has an obligation to cover the cost of the entire project for Handsworth Golf Club and to provide like-for-like (equivalent) replacement of any facilities lost as a result of the ﬂood embankment project. 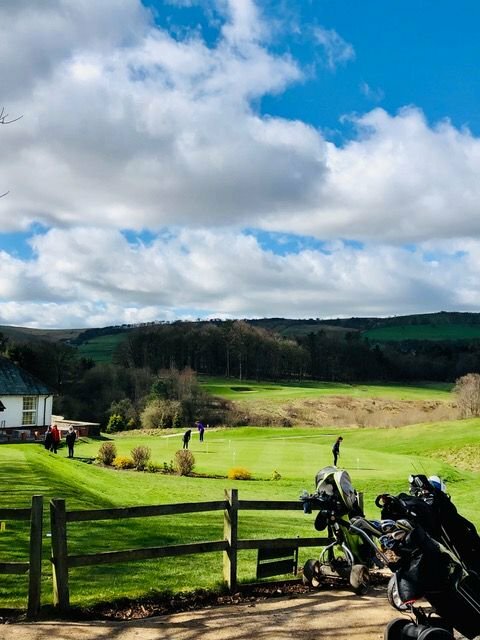 Greasley are the sub-contractor and they are responsible for all aspects of golf construction/reconstruction through to completion this summer, plus one year’s maintenance. How did you ﬁnd working with John Greasley?